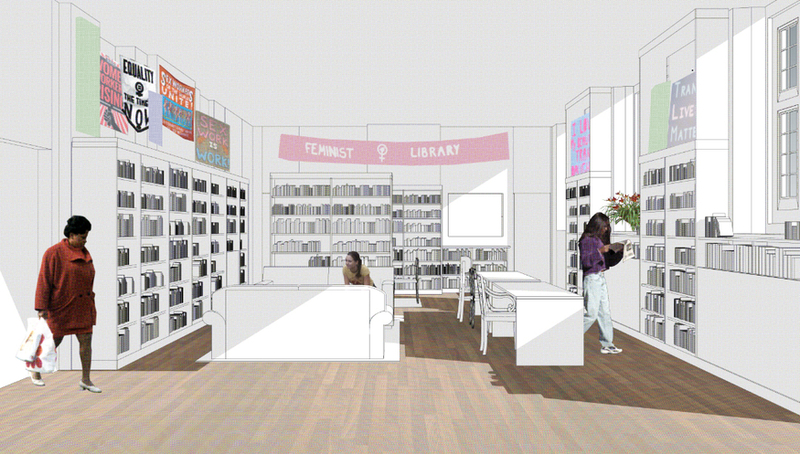 London's Feminist Library is moving. It's being evicted from its current home in Lambeth, to a new one in Peckham so it can continue its dedicated approach to research, activism and community projects in the women's liberation movement. The Feminist Library dates back to 1975, when it was founded by feminist academics during the height of second wave feminism. Since then the library has shuttled around London, repeatedly being pushed out by rising rents and the need for more space. The battle for its most recent home on Westminster Bridge Road has been a lengthy one — we've been writing about the issues there since 2007. The new space is in Peckham, and is part of the Sojourner Truth Community Centre. It's over 1,500 sq ft — 50% larger than the current premises — and will provide ample space for the 7,000+ books collected over the past 40 years. To make sure the move goes through, the library is crowdfunding. It needs £30,000 and is already most of the way there. There are plenty of rewards for backers depending on how much they give: £30 gets you a ticket to the grand opening of the new library, or give £500 and you get your name on a shelf. Find out more on this Crowdfunding page.